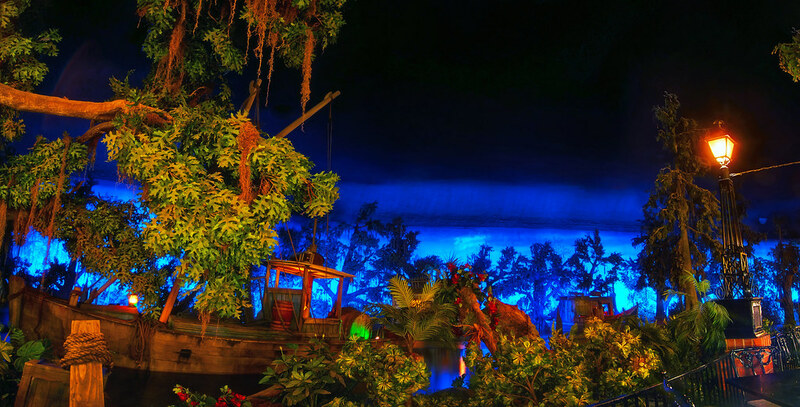 The Blue Bayou is a rare example of a restaurant that is worth the price not for the quality of the food, but for its ambiance. Not to disparage the food there though – the Monte Cristo sandwich is the best damn thing you’ll eat in Disneyland. This entry was posted in Pirates of the Caribbean and tagged ambiance, atmosphere, Blue Bayou, caribbean, night, panorama, Pirates, restaurant. Bookmark the permalink.